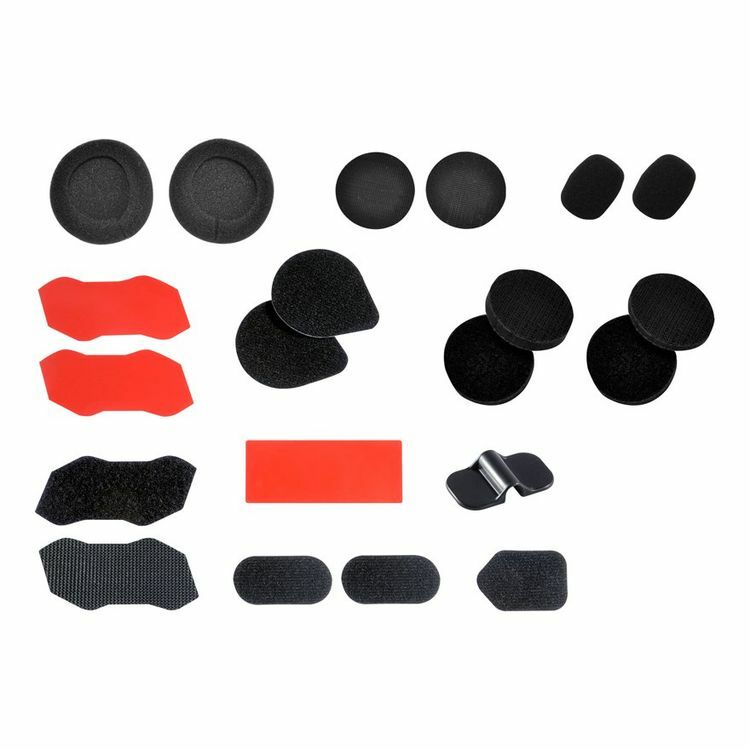 Includes spare speaker foam and additional mounting adhesive for Sena 10R Bluetooth Communicators. Everything you need to swap your 10r to a new helmet as long as you do it perfectly the first time. Come on Sena, more than one adhesive backer for the battery pack, a velcro mount for it, or better still a battery bracket. I'm not truly happy about where I got my battery pack placed, but since the battery is the only thing in this kit that doesn't have a spare adhesive I just have to hope for the best. I used the velcro mount for my control unit, and 3 hours into my first ride my control unit was dangling from the cord. The adhesive had separated from the velcro! Luckily it re-adhered well enough for me to get home and use one of the double-sided tapes to reinstall. I don't know what's up with the velcro as I used it on my other helmet with no issues whatsoever. For 7 Bucks I can't complain but Sena could do better. Are all the items in the picture included? I need wired mic foam.